Executive Officer of NJSC Naftogaz Ukrainy Yuriy Vitrenko has no intention to run for the post of the company's chief, he has written on his Facebook page. 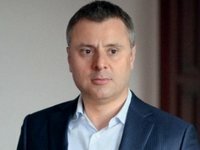 Commenting on the statement of ERU Trading regarding materials published in the media about the conclusion of contracts for the purchase and sale of natural gas between companies in the fourth quarter of 2018, Vitrenko said that he initiated a change in his powers, refusing to be responsible for the integrated gas business. "According to the transformation plan, I did not expect that I would be responsible for it. Oleh Prokhorenko, the head of Ukrgazvydobuvannia, had to do it. When problems arose with this plan, I gave my consent to work in this direction, but almost a month later I changed my mind because differences in understanding the principles of transformation," the executive officer said. Vitrenko also said that when he was engaged in gas sales, the team decided to use competitive advantages when importing it: to sell gas on the market at the lowest price among rivals with a markup to the price of imported gas. "This policy has successfully worked, in particular, on deliveries in November, agreements for which were concluded in October. We did not see sufficient arguments to reduce the price below this level," Vitrenko wrote. Among other things, he wrote that he did not provide journalists with any internal documents relating to trade operations between ERU Trading and Naftogaz.